It's good business to do good. 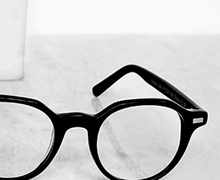 Warby Parker founders Neil Blumenthal, Andrew Hunt, Jeffrey Raider, and David Gilboa were classmates at business school who divided their time between cultivating their love of fashion and vintage collectibles and the desire to do something that would make the world a better place. In the end, their interests merged into a company that does both—they deliver high-quality, hand-crafted eyewear (for prices much lower than boutique frames), and in doing so, found a way to give back. There are almost 1 billion people in the world without access to glasses, and Warby Parker is taking steps to change that. For each pair of glasses that they sell, they deliver one pair to someone in need. With the help of their partner, the renowned non-profit Vision Spring, they have already distributed over 85,000 pairs of glasses—all within their first of year of business. At Warby Parker, their motto is, “It’s good business to do good.” We agree. They are able to provide a quality product at a low price point because they take control and cut out the middlemen. They design the frames, sell-directly to the customer (with some pretty innovative sales features including a “Virtual Try-On” application, in-home try-ons, and free shipping and returns), and they meticulously oversee the end-production process. The result is a product that goes beyond making people look good. It contributes to the social good. Now more than ever, designers have the opportunity to use their strengths as big-picture thinkers, collaborators, and innovators to use design for larger causes. Warby Parker sets a stellar example for the rest of us to follow.